Whether you are preparing a zesty meal or creating lumps of citrus fruit peels for garnish, you simply can’t deny the practicality of having a good zester at your disposal. 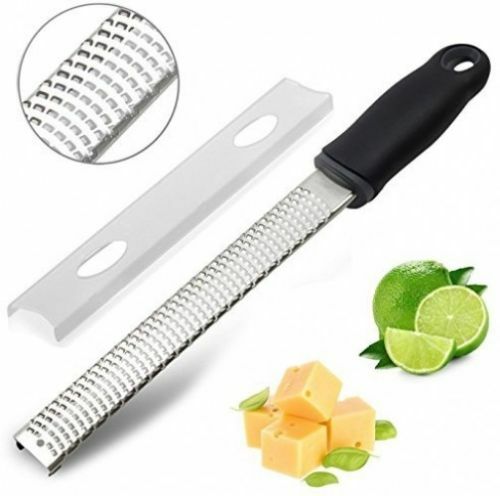 Before I got myself a zester for my culinary needs, I used to get the zest of citrus fruits such as lemons, oranges, and limes with the use of a classic cheese grater. Sure, a cheese grater did help me get the job done, but it wasn’t nearly as effective as a real zester. 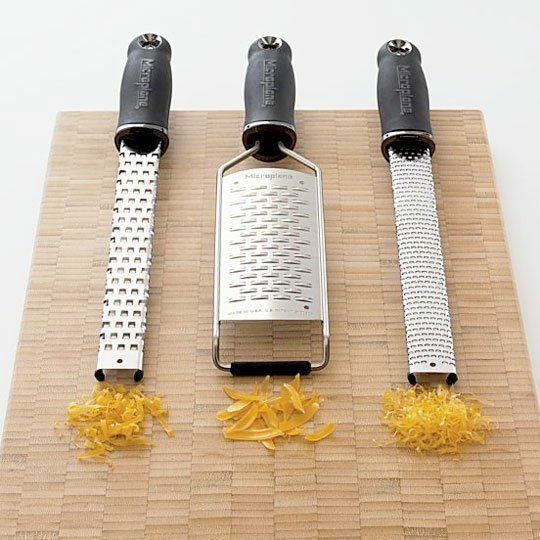 If you are done with using a cheese grater for getting the zest off of fruits, then I’m sure you will enjoy reading this complete guide on buying the best zester. In this article, you will learn about the different kinds of zesters in the market and how to effectively use them. Below you will also find a short list of the 5 best zesters you will be able to purchase online. We chose them based on their functionality, ease of use and price range. What is The Best Zester for Lemons, Oranges, And Limes? Before we get into the list of the best zesters you will be able to find in the market today, let us first discuss the differences between the more modern microplane and the traditional zester. ​Knowing the difference between the two can be quite essential since both can offer a different culinary experience. 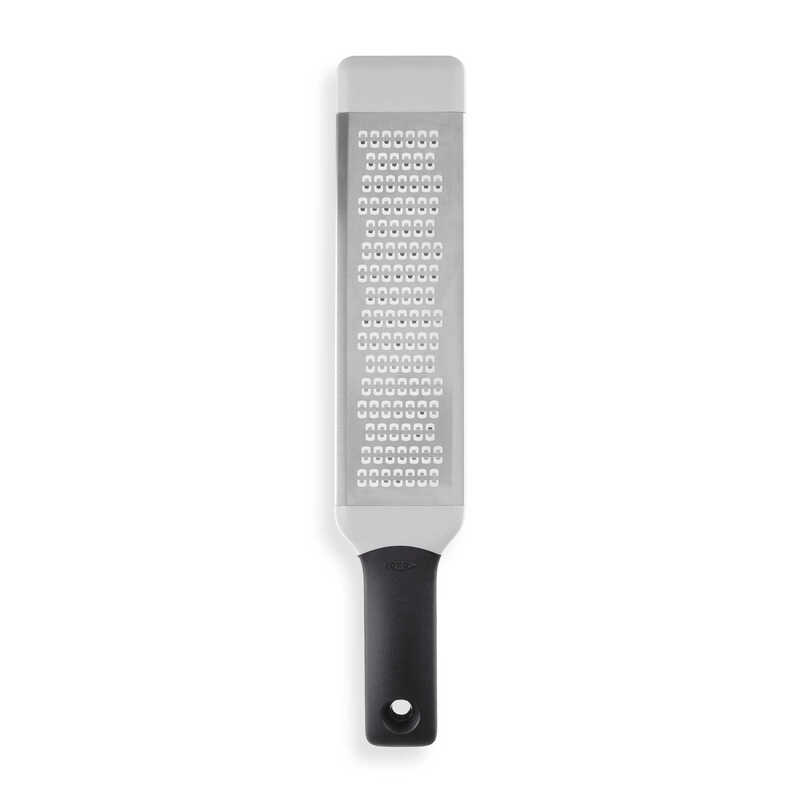 ​A microplane is basically a grater that is somewhat similar to a rasp used for woodworking. Unlike traditional zesters, microplanes come with fine sharp holes that make zesting a breeze. If you are planning on getting the zest of soft fruits or other soft ingredients, a microplane may help you do a better job at doing so. ​On the other hand, a traditional zester is designed with one row of small holes that are only ideal for getting shavings from certain types of citrus fruits. Unlike a microplane, zesters wouldn’t be able to produce fluffy shavings from hard ingredients like nuts and chocolates. A traditional zester, on the other hand, consists of a single row of holes that are designed only to deal with the peel of various citrus fruits. They aren’t the best at shaving softer products such as chocolate, or harder items such as nuts. ​Despite these products differences, you can still use any one of them to effectively get fancy looking shavings for flavoring or garnishing if you know how to work them. With enough skill, you will be able to use any of these two products to get nice shavings from an assortment of ingredients including oranges, lemons, limes, grapefruits, cheeses, ginger, coconut, chocolate, nutmeg, garlic, and nuts. There are different kinds of zesters available in the market today. Each one is specifically designed for a certain type of ingredient. ​Ideally, zesters are used for extracting the concentrated flavors from the skins of numerous ingredients. ​If you are looking to get the zest of lemons and limes, try to go with a zester with extremely fine holes so that you won’t end up getting the bitter insides of the citrus fruits’ skin. But if you are looking to create fancy looking citrus curls, try to go with a zester with larger holes or one that comes with a nice channel knife. ​Ergonomics should also be considered. Make sure you will be able to hold the grater with one hand easily. Avoid those graters that are cumbersome to use because the handles are too big. ​Also look for those that do not get blunt easily. You don’t want your zester to become blunt fast as these would be difficult to sharpen. ​Cleaning zesters can be a pain if they have small holes. The zest can get stuck in those holes easily. You should consider getting a zester that is easy to clean and easy to store. Also make sure you pick those with materials that do not get rusty easily. ​Also find out if the product comes with additional accessories. A plastic cover may come handy if you life bringing your zester with you for picnics or camping trips. A lot of people easily commit the mistake of rubbing a piece of fruit or any type of ingredient back and forth against the zester. Most people commit this because they are unaware of the messy spray and zest that can come from doing so. ​The proper way to use a zester is to drag it across the fruit’s rin﻿﻿d. Simply imagine that you are shaving the ingredient you are holding. Doing so will allow you to neatly collect the zest on the zester’s underside. You can also get more even results this way. 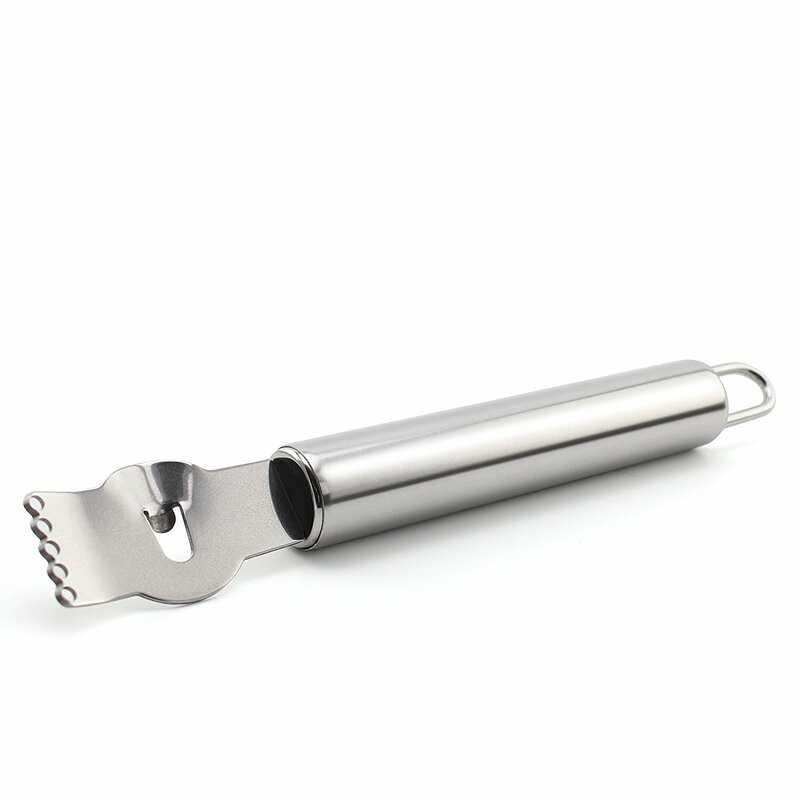 This stainless steel zester is a great tool that will allow you to seamlessly get the zest or shavings from any kind of ingredient. Whether you are working with lemons, limes, chocolates, or hard cheeses, this Raniaco stainless steel zester will ultimately help you get the job done. ​What I like about this zester is that it comes with a rather lengthy design. Its length allows me to create a lot of shavings while performing less movements with my hand. It also comes with a nice non-slip handle that makes it very easy to grip even when my hands are wet. 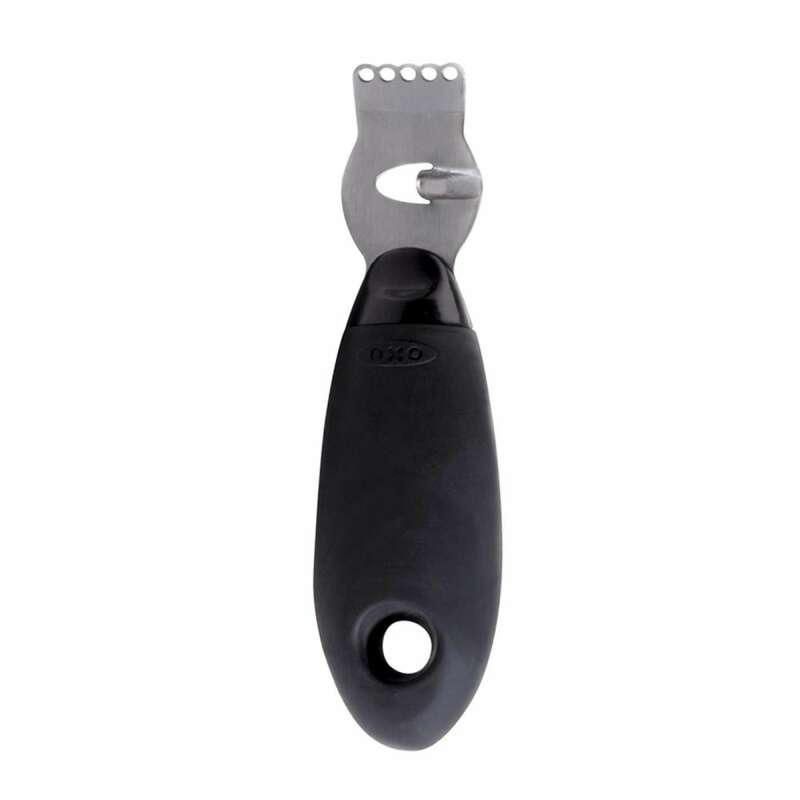 This OXO zester can help you get the zest or shavings from any kind of ingredient really fast because it comes with sharp and etched stainless steel blades that happens to be highly durable as well. In fact, you can even just throw this thing in the dishwasher for easier clean-up. 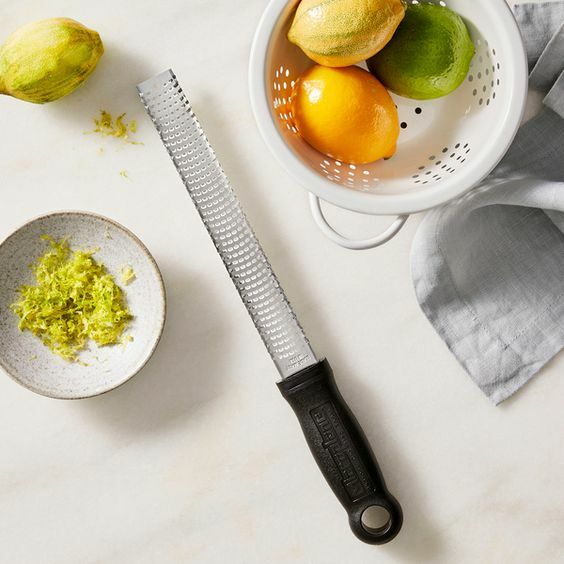 ​What I like about this zester is that it has a rather large grating surface that makes it easier to shave off zest from large fruits such as the grapefruit. It also makes it easier to gather shavings from a large chunk of cheese. ​Another great thing about this zester is that it comes with a non-slip grip that will add security as you grate your ingredients really fast. This microplane can help you add tremendous flavor to your dishes because it comes with extremely fine holes with razor sharp edges that can easily get fluffy shavings from all sorts of ingredients including citrus fruits, ginger, garlic, onions, hard cheeses, and more. ​What made me include this product in this list is the fact that it is made with high quality stainless steel that isn’t only durable but has the capability to stay sharp for a long period of time. There’s also the fact that it comes with highly ergonomic handles that makes it very easy to maneuver. ​This zester is also very easy to clean and maintain. You can even leave it in the dishwasher for cleansing. This product is another useful OXO zester in this list that will surely impress any cook. This highly affordable zester comes with durable double-duty stainless steel that will surely last you for years. It also comes with a head design that will allow for less messy and more controlled shavings. 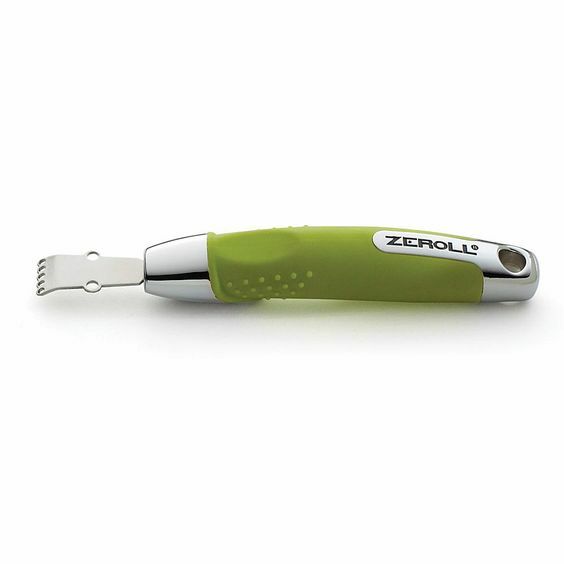 With this zester in your hand, you will be able to effectively get fluffy or thick shavings from any kind of ingredient. 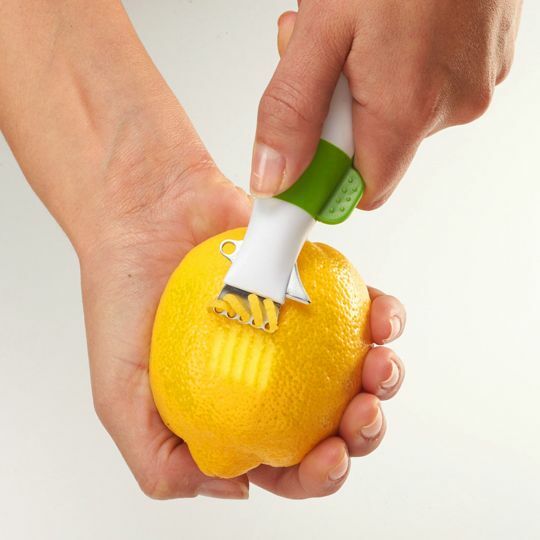 This zester comes with really sharp holes that will allow you to easily get the shavings from any citrus fruit without getting the bitter white part with ease. All you will have to do is run it against the fruit and you’re good to go. ​What I liked about this zester is its rounded handles that are just a delight to grip. If you are planning on finding a zester for commercial use, this one will certainly relieve you of any hand pain even when you are holding it for a long period of time. ​Another great thing about this zester is that it is very easy to clean and maintain. It is rust-proof, dishwasher safe, and it even comes with handy lifetime warranty. ​Which One Should You Get? So, which of these products is the best choice for you? Longer Choice: Raniaco Stainless Steel Zester. This is one of the longest zesters out there. It is affordable, and it has holes that ensure you get even sizes of zest without putting in too much effort. It also has a nice handle that is comfortable and easy to use. Bigger Surface: OXO Good Grips Zester and Grater. If you like to grate bigger kinds of fruits, this should be a better option for you. The surface is bigger, allowing you to get more zest in one go. Sharp Zester: Microplane 40020 Classic Zester/Grater. While all zesters come sufficiently sharp, this one might be a cut above the rest because of its sharp holes that allow you to get more zest from fruits in one go. No need to press too hard just to get the zest you need. Makes Longer Zests: OXO Good Grips Lemon Zester with Channel Knife. 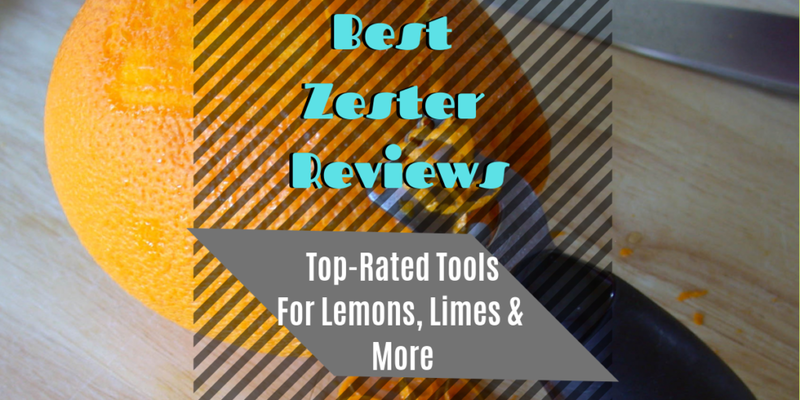 If you prefer your zests longer or you are looking for a zester that you can use to make citrus garnishes for your cocktail drinks, this can be a good choice for you. 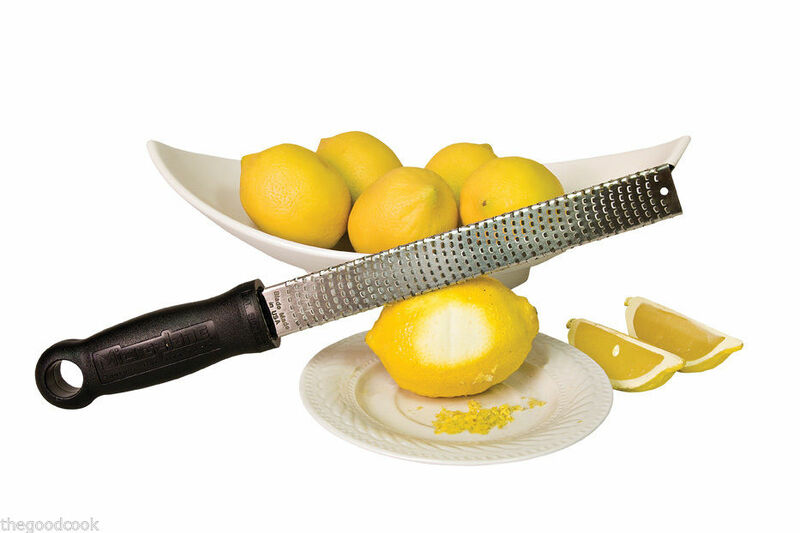 Easy to Use: 1Easylife Stainless Steel Lemon Zester Grater. The design of this zester makes it easy for users to get the peel of fruits without the bitter white part. Get this if you like something that has a longer handle and you can use to easily scrape off the zest surface of citrus. For us, the best zester is the Raniaco zester as it won't hurt your hands, it's easy to use and it has a sleek design. Have you decided which one to get? Don’t forget to visit our homepage as well to look for more kitchen tools that will make whipping up your favorite dishes in the kitchen a lot easier.